[June, 2011] I am very pleased to introduce myself to you as your new parish administrator. 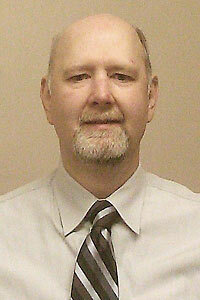 I come to you after 13 years at Wilmington Trust as a system support and project manager professional. I have been involved in non-profit volunteering for many years. I am an active parishioner of Christ Church Christiana Hundred, where I currently chair the Parish Life Committee and am Clerk of the Vestry. Having also served on the Liturgy and Communication committees, I am no stranger to the inner workings of a parish, and its life and the ministry. Over the years I have been an occasional worshiper at SsAM and it has been my pleasure to know Canon Casson for many years. Although this is a shift in careers for me, the experience and skills I bring to SsAM will be a great asset to me in my work. I was especially drawn to the position of parish administrator here because of your mission to be an inclusive community, and I heartily support that mission and vision of SsAM. It will be my goal to provide a smooth running day to day parish office that will support the work and ministry of you and your rector. SsAM’s intentional diversity and unique approach to liturgy and outreach is a wonderful beacon in Wilmington and a perfect home for those seeking a church. I look forward to working with and among you as you move into the future. Coming to the parish also has some sentimental pull for me. My grandparents were married here in 1922, and my great-grandmother sang in the choir for a number of years before and after 1900. Thank you for your gracious and warm welcome and I look forward to getting to know all of you soon.